The Malaysian Parliament suffered a fatal blow when the ruling coalition Barisan Nasional (BN) illegally and fraudulently suspended top law-makers from the opposition alliance Pakatan Rakyat (PR) in a chaotic sitting of the House on December 16. The opposition leader Anwar Ibrahim and three other senior leaders of the alliance were suspended for six months through two separation resolutions in a process fraught with misinterpretation, misrepresentation and deceit. Coming at a time when the national election is expected to be just around the corner, this parliamentary debacle has undoubtedly charged up the political tension by several notches. The origin of this tragedy sprang from a sitting in the House on 17 March 2010 when Anwar linked Premier Najib Razak’s 1Malaysia slogan to the One Israel campaign under former Israeli premier Ehud Barak via international consultant Apco Worldwide which has served both governments. This was clearly a counter offensive by Anwar to neutralize Umno’s strategy to demonise Anwar as an Israeli stooge all these years. It was meant to unmask Umno’s hypocrisy and certainly does not contain any anti-Jew element, as Anwar repeatedly stressed. However, Umno did not take this insinuation kindly, and moved on April 22 to refer Anwar to the Committee of Rights and Privileges for disciplinary action for “misleading” the House, despite Anwar having given abundance of supporting evidence in the House on Mar 30, and despite Najib having failed to respond to Anwar’s challenge to categorically deny Apco’s involvement in the 1Malaysia concept. In meetings of the BN dominated Privileges Committee, Anwar was not only denied legal representation and calling of witnesses, but he himself was denied the chance to submit his defence. The Committee’s decision to punish Anwar was virtually made by ambush, as the two PR members in the 7-member Committee was not informed of the agenda in a short 3-day notice of its fourth meeting on Dec 3, which later turned out to be the final. In that fateful meeting, the two PR MPs – Karpal Singh and R. Sivarasa – walked off in protest upon the Committee deciding to make its final decision based solely on a letter from Apco and answers in the House from ministers – while emphatically rejecting the request to allow Anwar to make his defence or any witness to be called. This shocking move was a complete reversal of the earlier pledge that all relevant witnesses and all relevant documents would be examined – as pledged by the Speaker during the sitting in the House on April 22 and later re-affirmed in the Committee’s first meeting on May 17. Such desperate move of the Committee that defies all norms of justice and law was obviously prompted by fear that incontrovertible evidence from Anwar would be put on official record that will do grave damage to Umno. 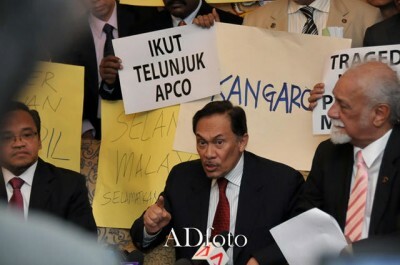 Besides, the calling of Apco CEO Brad Staples who penned the Apco letter – which denied involvement in either 1Malaysia or One Israel – would have allowed the falsehood in the letter be exposed and nailed. The Committee then decided to suspend Anwar for 6 months and admonish Karpal Singh, chairman of DAP, for unacceptable conduct during the committee meetings. These recommendations would be tabled in a resolution to Parliament on its last day of sitting for this session on Dec 16. Then, out of the blue, another resolution was presented to parliament on the Dec 15, this time calling for punishing 3 other top PR leaders. This second motion called for suspension for 6 months senior PR members of parliament: Azmin Ali (deputy president of PKR), R. Sivarasa (former vice president of PKR) and Karpal Singh, who one day before was recommended for only “admonishment”. Why this sudden twist of events? Sivarasa explained that this was attributed to the presentation of a minority report on the Anwar probe – co-authored by Karpal and Sivarasa – to the Speaker in the evening of Sept 14. This report, which contained details embarrassing to BN that were otherwise omitted in the main report, was meant to be distributed to all members of parliament for debate alongside the main report. Hence, the decision to also axe Karpal and Sivarasa was made in reflex so that the misconduct of the Privileges Committee would not be formally exposed and recorded in Parliament. The Speaker promptly refused to admit this minority report on flimsy grounds. The sitting on Dec 16 is undoubtedly the most shameful episode in our parliamentary history. Leading MPs from the opposition were summarily punished without being allowed to defend themselves or accorded the customary notice of motion. The Speaker, who was outrageously partisan, bulldozed through the motions without debate, which is the minimum decorum in any parliament. He was caught repeatedly lying to ward off the angry queries from the opposition. To cap it all, the motion to suspend the trio was defective and fraudulent in the first place, having misinterpreted the relevant standing order and having lied on the alleged offence. Let me start with the Speaker. Pandikar Amin Mulia, who enjoys the dubious distinction of having rejected almost every motion from the opposition, is without doubt the most crudely partisan and spineless speaker we have ever had. In the melee on Dec 16, he was observed to have ordered a vote on the Anwar motion without debate only after having received a written note from Nazri Aziz, de facto law minister looking after parliamentary affairs, who proposed the two motions. When Anwar demanded his right to answer the charges, Pandikar Amin replied that Anwar had already been given one week to respond, which instantly parked off angry protests to this false claim. When asked by Karpal Singh to recuse himself from presiding the current sitting due to conflict of interests as Pandikar also chaired the Committee meetings, the latter said that he only chaired the meetings but did not take part in the deliberation. This was found to be false, as Anwar pointed out that notes of meeting revealed that it was Pandikar who justified the decision not to call Anwar by quoting precedents. Pandikar said that his justification for calling a vote without debate was the Opposition’s reluctance to take part in it, but the truth is while Amin was making this claim in the House, Anwar was actually standing up, armed with a stack of documents and pestering to be allowed to defend himself. As for Minister Nazri’s motion which accuses the trio of breaching Standing Order 85 for having MENTIONED to outsiders evidence presented to the Committee, this is clearly a misinterpretation of the Standing Order. The latter only prohibits the PUBLICATION, not mentioning of evidences presented in the Committee meeting. When Karpal and Sivarasa gave a press conference on the day they walked out from the Committee meeting on Dec 3, they only mentioned the Apco letter to explain why they had to walk out in protest. They have never published the Apco letter. “published the content of the letter presented in the Rights and Privileges Committee in his letter to the Speaker on Dec 6“. So, Nazri’s allegation is a complete lie, as Azmin did not even mention the Apco letter. The brazenness with which these BN leaders are spewing lies is staggering. 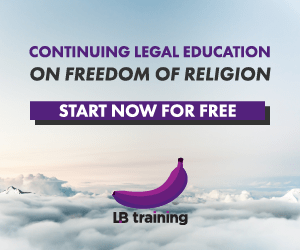 PR leaders are of course right when they vowed to seek legal redress over such illegal suspensions precipitated by the unprecedented display of contempt for the nation’s supreme institution. And it would certainly be appropriate if PR also moves to censure both Speaker Pandikar and minister Nazri in the next session of parliament by referring them to the Privileges Committee for disciplinary action. It is these culprits who truly deserve punishment which has wrongly been served on the 4 suspended PR MPs. Such moves would at least give some consolation to infuriated Malaysians who have been gnawing their teeth to see BN punished for the unforgivable destruction of the fundamental tenet of our system of government, even though none expects any justice from our failed institutions. Kim Quek retired as an engineer and started writing political commentary. When he eventually joined Parti Keadilan Rakyat in 2007, he did so expressing the hope that “truth and goodness will eventually triumph over deceit and evil.” He is also author of the banned book “The March to Putrajaya“, but is currently challenging the ban in Court. Read more articles posted by Kim Quek.